Ornate detailing places a trend-forward spin on streamlined shaping. 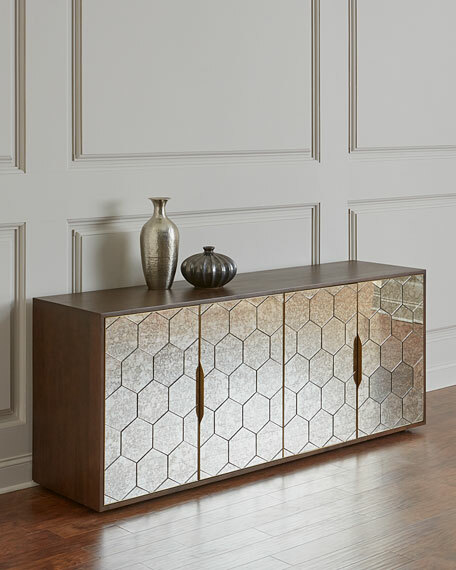 Stainless steel hardware is finished in polished brass for a look of effortless sophistication. 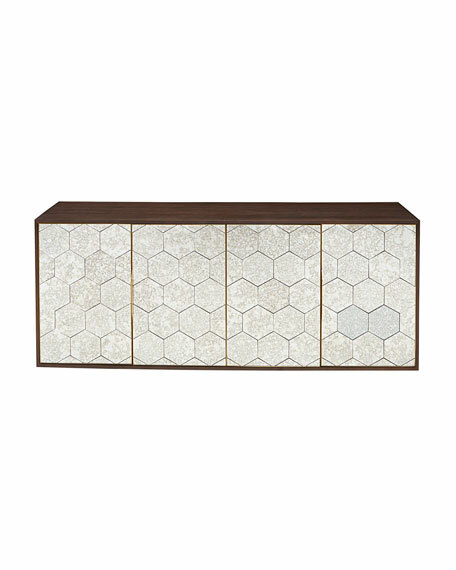 Dark walnut encases glass doors of antiqued mirror with a honeycomb pattern, adding artistic intrigue to statement storage. 79"W x 20"D x 31.5"T.
Stainless steel, walnut and glass. Boxed weight, approximately 269 lbs.